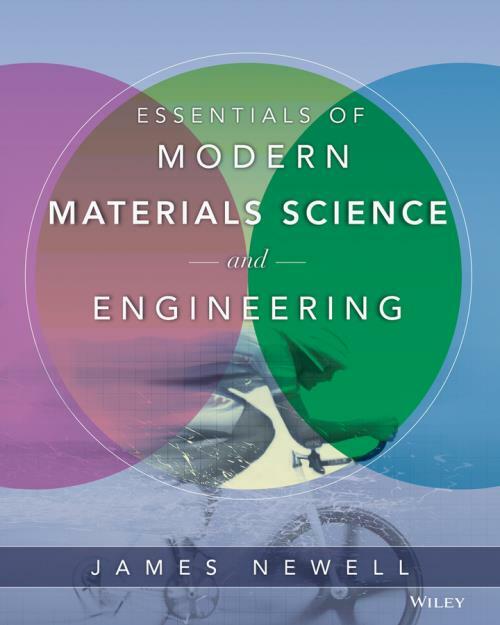 While other materials science books focus heavily on metals, Newell′s Material Science and Engineering offers a unique approach that emphasizes modern materials such as polymers, ceramics, and composites. The book explores the key concepts and fundamentals that are needed to make informed decisions in the field. The importance of economics in decision–making and consideration of the entire life cycle of products are themes that are also integrated throughout the chapters. Engineers will be able to use this as a reference for the materials selection issues that they′ll deal with throughout their careers. 1.1 Overview of Materials Science. What Issues Impact Materials Selection and Design? 1.2 Property Considerations for Specific Applications. 1.3 Impact of Bonding of Material Properties. 1.4 Changes of Properties over Time. 1.5 Impact of Economics on Decision Making. 1.6 Sustainability and Green Engineering. How Are Atoms Arranged in Materials? 2.3 Lattice Parameters and Atomic Packing Factors. How Do Crystals Form and Grow? 2.9 Nucleation and Grain Growth. What Kinds of Flaws Are Present in Crystals and What Do They Affect? What New Developments Are Happening with Crystals and Crystal Structures? 3. Measurement of Mechanical Properties. How Do I Know How to Measure Properties? What Properties Can Be Measured, and What Do They Tell Me? Will I Get the Same Result Every Time I Run a Specific Test? 3.8 Error and Reproducibility in Measurement. Why Do Materials Fail Under Stress? How Do Mechanical Properties Change Over Time? How Do You Work with Metals? What Advantages Do Alloys Offer? 4.2 Alloys and Phase Diagrams. 4.5 Age Hardening (Precipitation Hardening). 4.6 Copper and Its Alloys. 4.7 Aluminum and Its Alloys. What Limitations Do Metals Have? What Happens to Metals after Their Commercial Life? How Are Polymer Chains Formed? 5.5 Importance of Molecular Weight Distributions. What Influences the Properties of Polymers? How Are Polymers Processed into Commercial Products? What Happens to Polymers When They Are Discarded? 6. Ceramics and Carbon Materials. 6.1 Crystal Structures in Ceramics. What Are the Industrial Uses of Ceramics? What Happens to Ceramic Materials at the End of Their Useful Lives? 6.9 Recycling of Ceramic Materials. Is Graphite a Polymer or a Ceramic? Do Other Carbon Materials Offer Unusual Properties? 6.13 Fullerenes (Buckyballs) and Carbon Nanotubes. What Are Composite Materials, and How Are They Made? What Happens to Obsolete Composites? 7.5 Recycling of Composite Materials. 8. Electronic and Optical Materials. How Do Electrons Flow through Metals? What Happens When There Are No Free Electrons? How Do Electronic Devices Operate? 8.9 Dielectric Behavior and Capacitors. What Other Electrical Behaviors Do Some Materials Display? 8.10 Ferroelectric and Piezoelectric Materials. What Are Optical Properties, and Why Do They Matter? 8.12 Applications of Optical Materials. 9. Biomaterials and Biological Materials. What Types of Materials Interact with Biological Systems? 9.1 Biomaterials, Biological Materials, and Biocompatibility. What Biological Materials Provide Structural Support, and What Biomaterials Interact with or Replace Them? 9.2 Structural Biological Materials and Biomaterials. What Biomaterials Serve a Nonstructural Function in the Body? What Ethical Issues Are Unique to Biomaterials? Appendix A: Major Producers of Metals and Polymers. Appendix B: Properties of Major Metals and Alloys.